Google is a creature of habit. 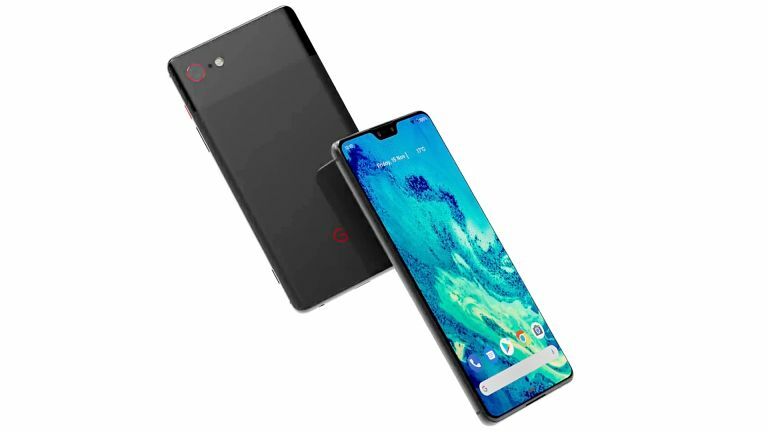 The company has introduced the latest entry in its flagship Pixel smartphone range in early October since its launch, and we don't expect the Pixel 4 to be any different. However, while the Pixel 4 release date remains months away, there has already been a steady flow of rumours about the next-generation handset. YouTube channel Concept Creator has published a slick, unofficial product video based on the latest whispers around the smartphone. And it looks flawless. The latest concept video is a little different from some of the previous leaks and concept images, which show the dual front-facing cameras in a cut-out in the display – similar to the Infinity-O design used on the Samsung Galaxy S10 Plus. Instead, the Concept Creator video shows the dual-selfie cameras, which were introduced with the Pixel 3 and Pixel 3 XL to take photos of large group of people without the need for a selfie stick, in a smaller notch at the top of the screen. The video shows the same two-tone case design that has come to characterise Google's flagship smartphone series. However, the Concept Creator channel has brought a lot more colour to the range with black, blue, red, white, and green finishes shown in the YouTube video. Interestingly, the "Not Pink" colour that debuted with the Pixel 3 range does not appear in the Pixel 4 video. Something else that's missing from previous generations of Pixel is the rear-mounted fingerprint scanner. Like the OnePlus 6T, Huawei Mate 20 Pro and Samsung Galaxy S10, the new Google Pixel series will opt for an in-display fingerprint scanner. We've always preferred front-facing sensors – not least because it means you can unlock the phone when the handset is resting on the desk without the need to pick it up. The Pixel 4 in the video has smaller bezels around the display, which will enable Google to squeeze a bigger screen into a device with a physical footprint that remains small enough to use with one-hand. Elsewhere, it looks like the Pixel 4 XL will have a dual rear-mounted camera – a first for the Pixel range. Google has always insisted it only needs a single lens to produce the same bokeh-style blur that rivals use dual-camera set-ups to achieve. If the company decides to add a second camera to Pixel 4 XL, it must have something else planned. For example, Google doubled the number of selfie cameras to the Pixel 3 XL to offer ultra-wide angle images – ruling out the need for a selfie stick – so its possible the same feature could be headed to the rear-mounted camera. Samsung already offers a similar feature on the rear-mounted camera on its Galaxy S10 series. Of course, the Made By Google hardware event is still a long way away. As such, it's worth taking this video with a sizeable dose of salt – not to mention skepticism.